Create what you want for free! Ok. We all know and love Blender. 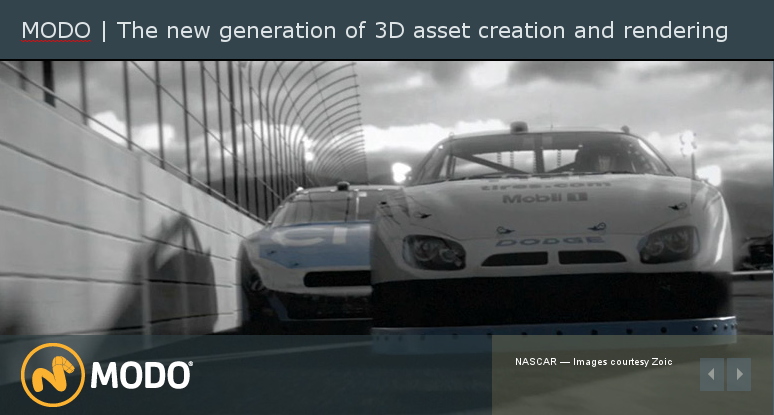 But let’s face it, it has its quirks that needs some ironing out before it can totally replace a package like Autodesk XSI or Autodesk Maya for many professional artists, or at least they think it does. Don’t get me wrong here, it is definitely the tool of choice if you want an open source solution that can do “almost anything”. This is not to say that Blender has missing features, on the contrary, it has features that Maya tries to include, but has shipped with pretty serious bugs since around version 2009. Now they have snatched a perfectly good plugin called NEX and “integrated” a.k.a. “slammed” it on top of their existing buggy tools, creating somewhat of a monster. Again. Those guys really never seem to learn the basics of Software Lifecycle Management. I’ve tried using it, but it’s so buggy that it ruins my models from time to time. The 2014 Edition is already in SP3 and still bugs aren’t sorted. This is a frustration for many small studios that depends on stable software and don’t have the resources to create their own in-house work-around using the SDK. But what do they do? Soon they’ll release a new 2015 version with even more features and new bugs on top of that. Then we have Modo. Once my favorite polygonal modeler, back in the version 3 days. Now the whole company has been snatched by The Foundry, and all clues given leads in the direction of massive feature and price increases. So, no more Modo for me I guess. I have my stable commercial license for Modo 401 that never stops to be valid, but hey, things evolve right? Who knows if it will be compatible with the next operating system I’m forced to update to because of other applications demands? It still amazes me to see a company like Newtek still being alive and actually even kicking these days with the new Chronosculpt and Nevronmotion applications that lets you sculpt in time based layers and record motion data via a cheap $99 Kinect Sensor! Way to go! How much this will be used remains to be seen, but they are on a creative roll and they NEVER give up. That is the true spirit of life. In addition they’ve released a free update to existing v. 11 (maybe also v. 10?) customers in form of Lightwave 11.6. This edition is the most groundbreaking release since version 9.6 in my eyes. It actually is a NEW LIGHTWAVE. A lot of new cool modeling tools and a great deal of new features on the rigging and animation side with the introduction of the Genoma system and off course an updated integration of the Bullet Physics engine, so sorely needed. To bad I only have an educational license for version 9.6. But they do have a good offer these days, letting me upgrade to 11.6 for around $350 or something. When it comes to a simple, fast and stable polygonal modeler we have the option of using Silo. It’s a $159 application and is an extremely competent modeler application. But it hasn’t been actively developed for over two years. So the reason for starting this article was really to investigate the possibility to crowd-fund a purchase of the Silo source code from Nevercenter and turn it into an actively maintained Open Source project. Personally, I have an hour or two now and then for coding some C++, Python or whatever they’ve used to create the product. The question is: How many others are in on a project like this? I’ve posted a poll over at CG SOCIETY (CGTalk) and for those that would be so kind, I urge you to give your vote to one of the options presented there. I’ve been lousy at posting new stuff to my blog lately and probably have lost a lot of readers, but hopefully some remain truthful to the old madman. For those that does not have a CGC account, get one! Kidding. I’ll present the poll in this post as well, though it won’t be linked with the results on CGC, so the best is if you take the time to register over there. They even have a $19 / Year deal for a premium subscription right now (normally $79) with a lot of goodies. Ok, so I was a little bit intimidated when I first heard about the Luxology merger with The Foudry. I was thinking in terms of Autodesk buying every small to medium Graphics Company and whirling it all up into one big package (or three). But then I read about the fact that they had already thought about joining forces for some time and that they actually knew each other long before the fusion took place. Than it’s a whole other story the way I see things. 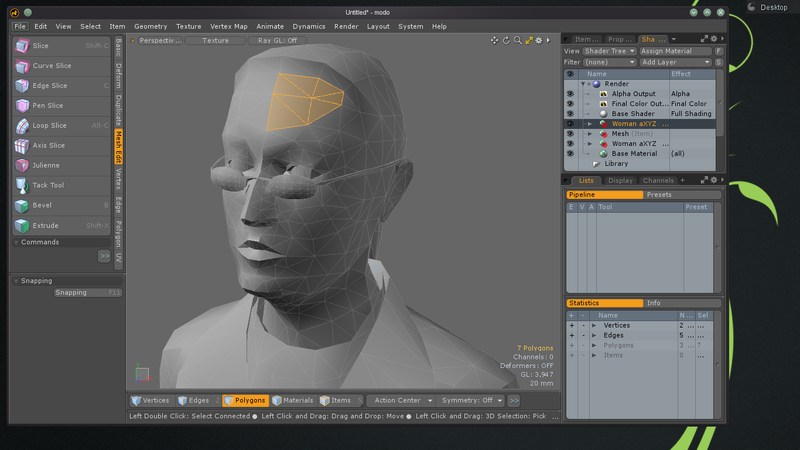 One of the best things that came rather instantly after the fusion was a Linux Edition of Modo 701! I could barely believe my eyes when I first read about this and how fast they produced a well functioning beta. Now I’ve installed Modo 701 on both my mediocre laptop computer and on my main workhorse, both running openSuse 12.3 and it works beautifully. If you’d like to try Modo on Linux, they have a free 15 day trial that you can download from, mark my words, The Foundry’s homepage. If you want to get a little bit more out of the demo, I’d go for the $25 package that includes the program itself (for 30 days I think), lots of contents and a lot of tutorial videos of extremely high quality. I’ve been waiting to upgrade my Modo 401 commercial license for some time now, because I’ve not really felt that the updates in the previous editions have been worth it from my point of view. Don’t get me wrong, the updates have been substantial, but not the updates in the parts of the program I mainly use for my modeling work, besides I’ve been using Blender for pretty much everything. But this is my reason to upgrade to 701! No doubt about it. I encourage everyone to try out the new edition of this incredible 3D application, that has in relatively short time went from being a “modeling only” tool to a complete 3D Production Pipeline product, including physics, animation, very nice rendering and other cool stuff. Now supported on both Windows, OS X and Linux!